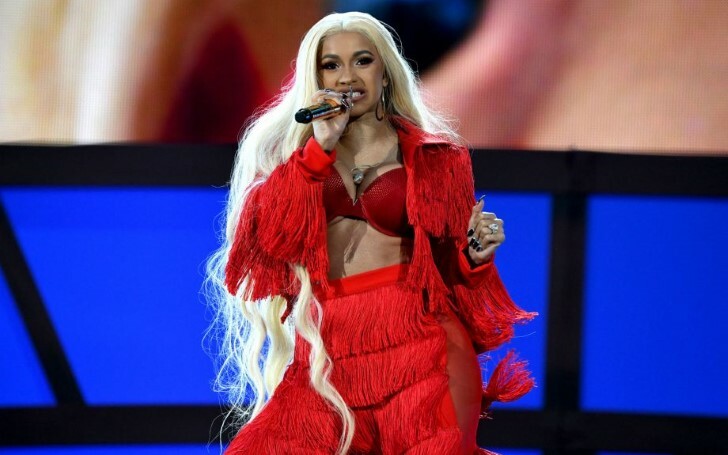 Cardi B's expenditure on hair and nails is bound to surprise you! If you are thinking that you spend much amount of your earned money on your beauty then think again. Because you might get surprised after you know the amount Cardi B Spends on her nails and hairs. Cardi B, the music sensation revealed about her nails and hair expenses via Instagram by posting a video on 1st December 2018. As a matter of fact, in the video, she explained why the expenses are rising. The star was in a car and had blue hair and accessorized with a hook earning while filming the video. She added the expenses about the hair and the wig. As per the video, the wig costs about $800, $500 which depends on where people get it from. Whereas, the styling is around $200, $300. The star wore a golden shimmering gold fringed mini skirt dress with big hoop earring and the evergreen impressive nails. She opened on the stage with her song, ''Drip'' from her latest album, ''Invasion of Privacy.'' The rapper owned the stage like a queen and twerked her way throughout the stage.